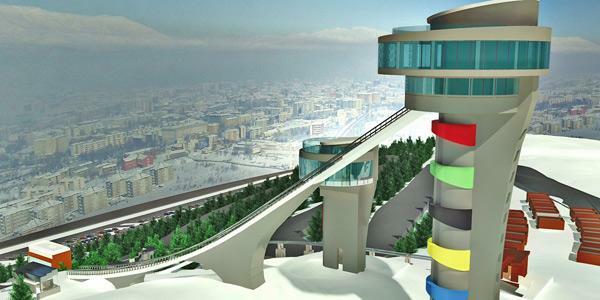 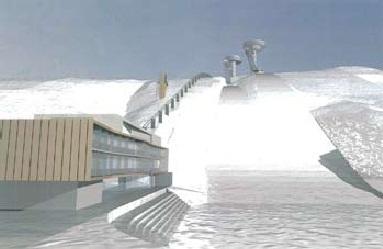 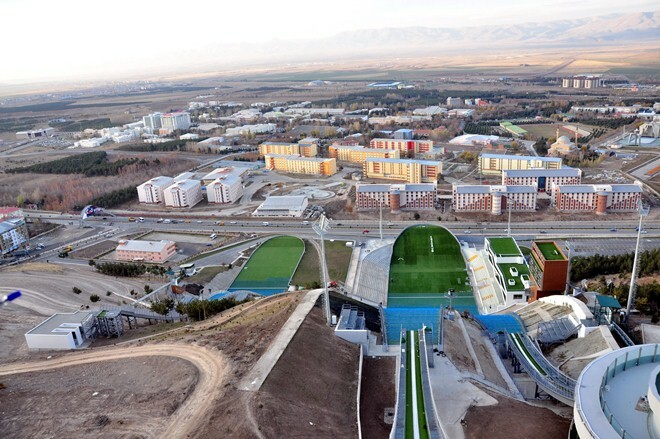 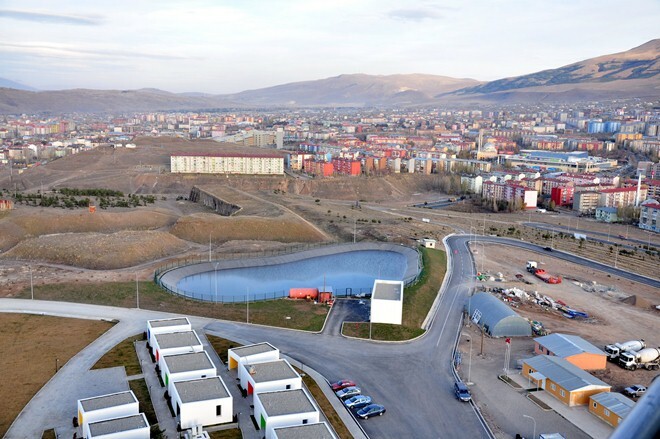 The Winter Universiade 2011 was hosted in Eastern-Anatolian Erzurum, which is located on a high plateau on 1950 m above sea level. 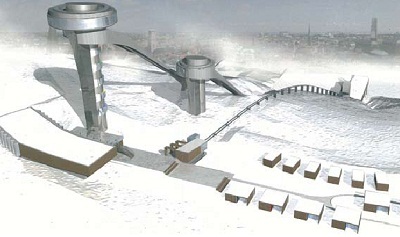 Only 6 km apart of the city is Palandöken skiing centre (up to 3124 m). 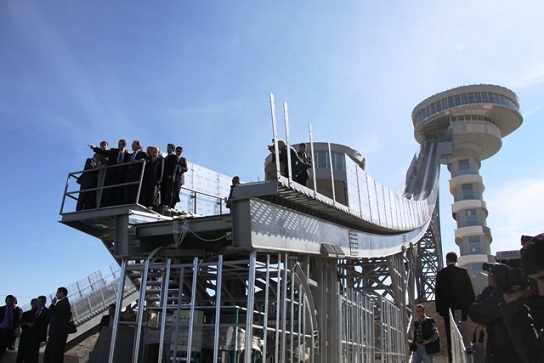 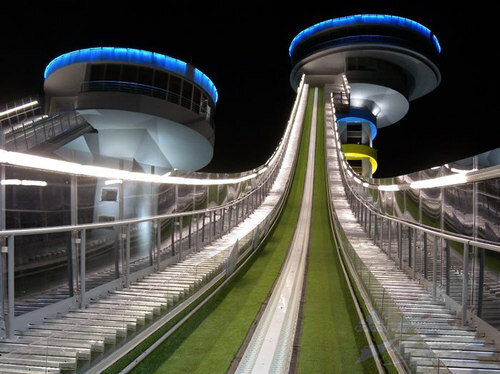 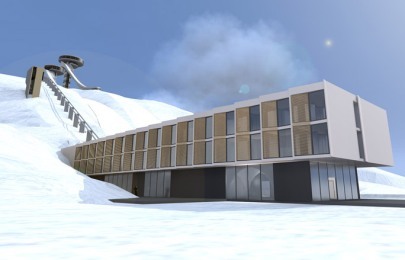 For the ski jumping competitions at Kiremitlik Tepe a new ski jumping hill facility with K125 and K95 was constructed, the only ski jumping hills (tr. 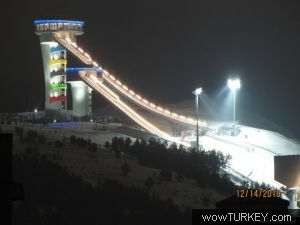 atlama kuleleri) of whole Turkey. 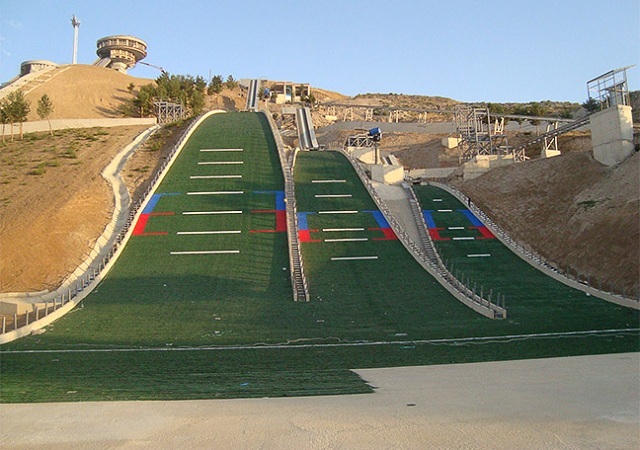 Additional practising hills K60, K30 and K15 were built for young jumpers. 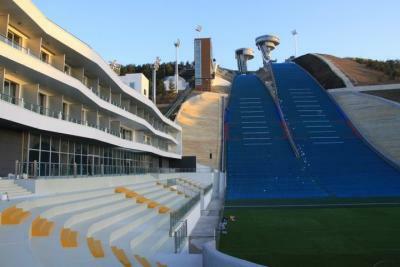 The totally about 20m Euro expensive new-construction of the plastic covered jumping center was designed by Slovenian Atelje. 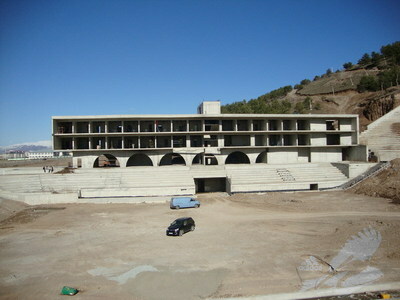 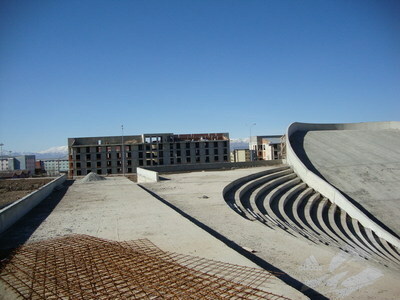 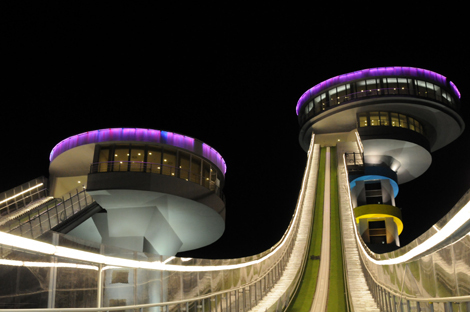 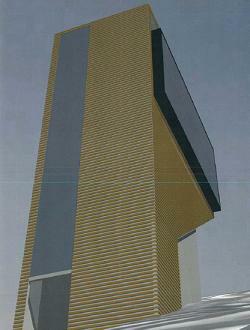 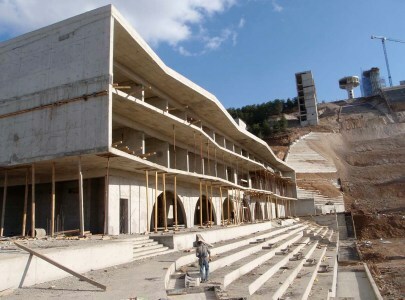 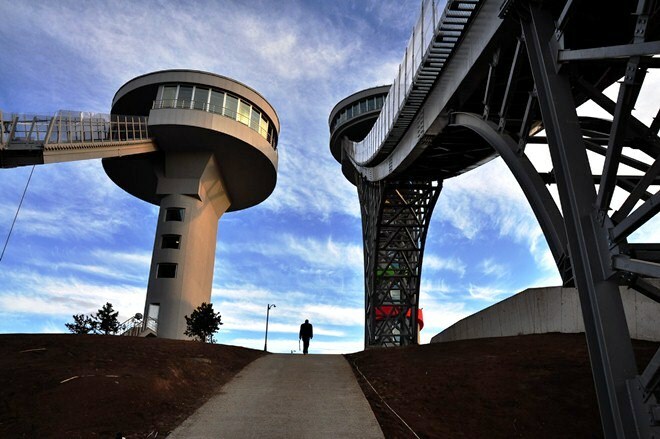 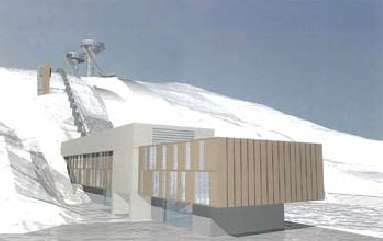 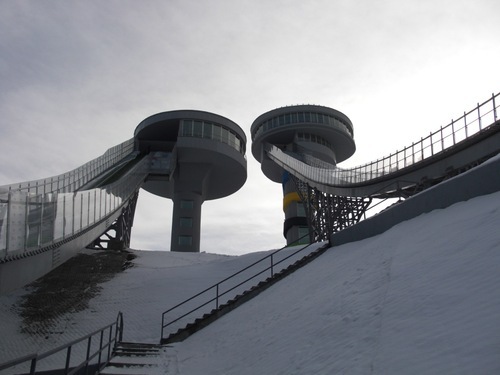 In September 2010 the ski jumping facility was finally completed. 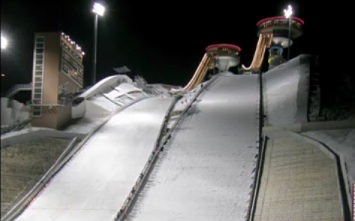 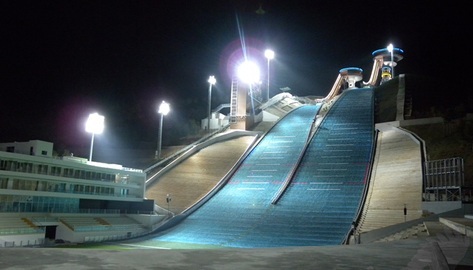 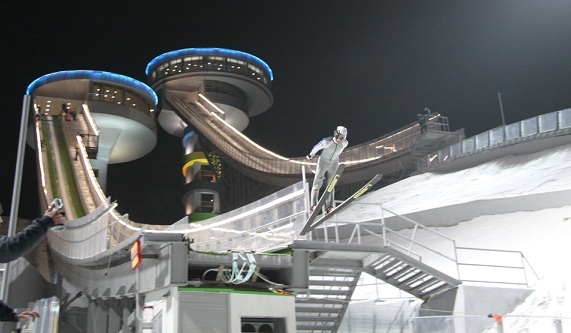 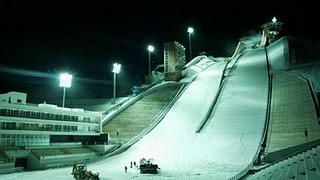 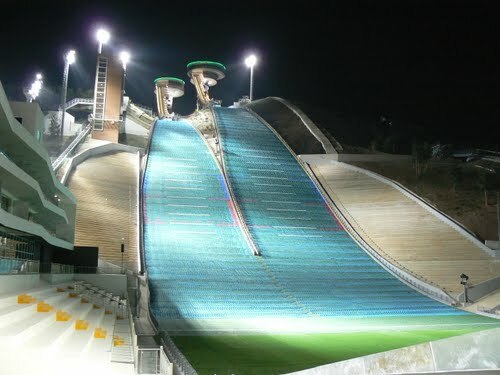 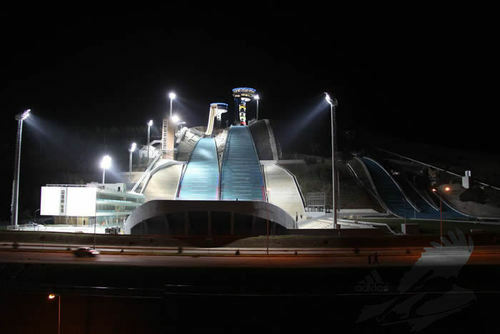 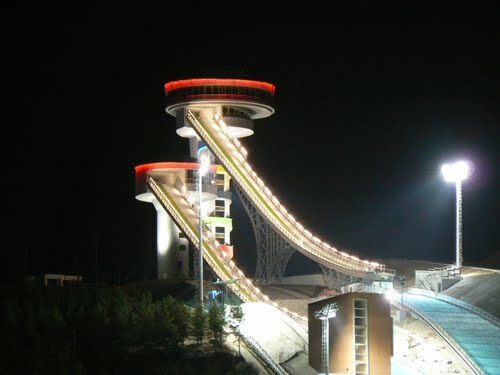 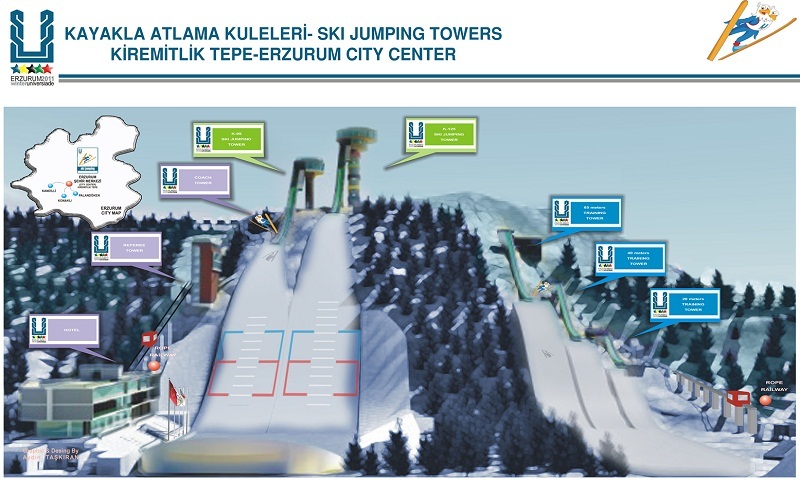 After the successful Universiade 2011 with Nordic Junior WSC 2012 the next main event of junior winter sports was given to Erzurum and also the COC of ski jumpers and Nordic combined was staged there already. 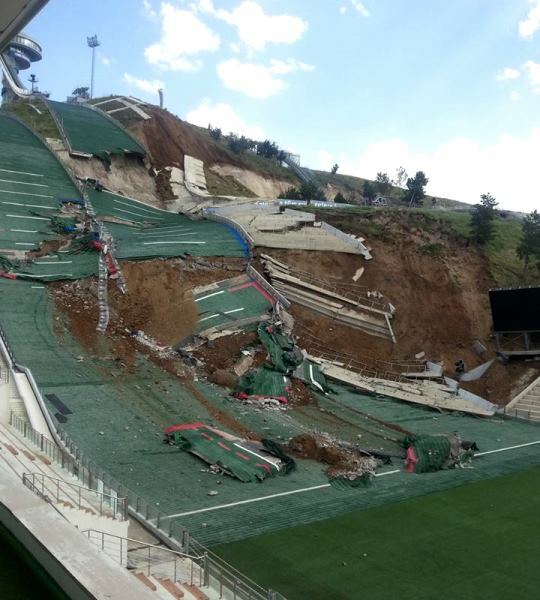 The large and normal hill were seriously damaged by a landslide on July 15, 2014. 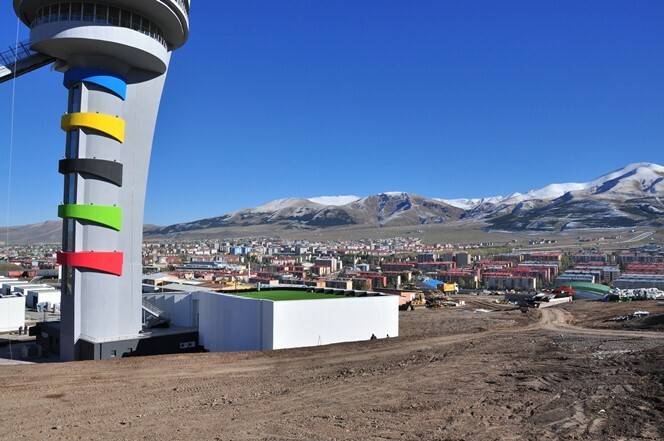 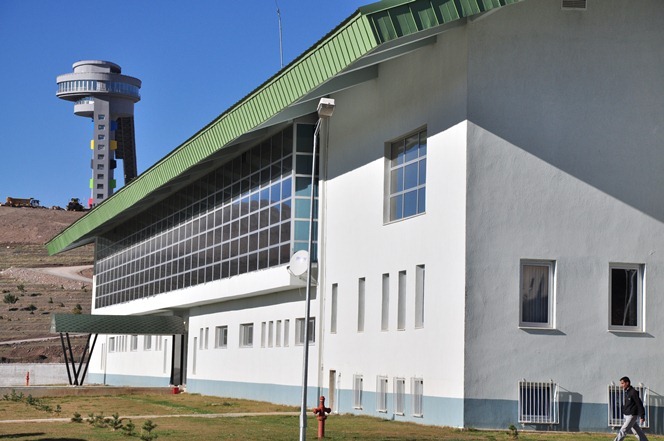 The facility was re-constructed during 2016 and in February 2017 Erzurum is going to host the European Youth Olympic Festival (EYOF). 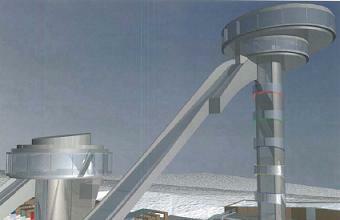 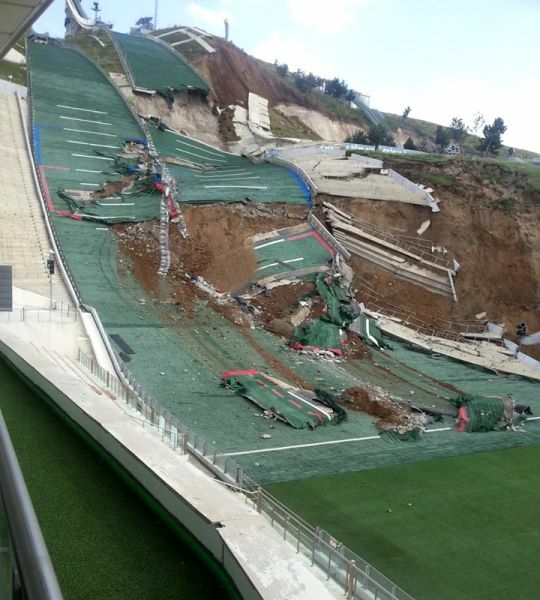 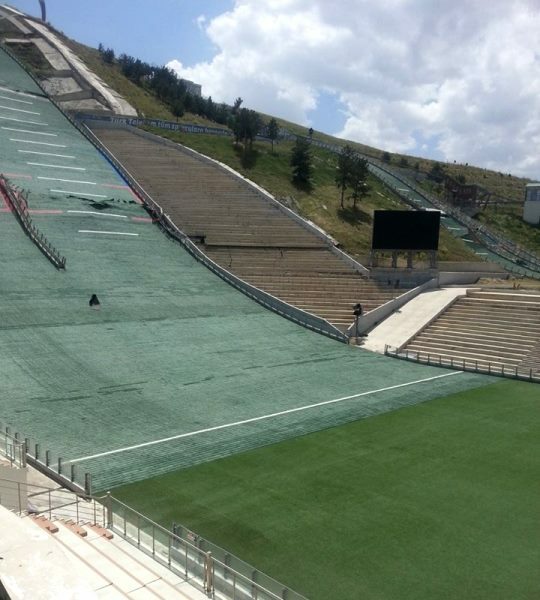 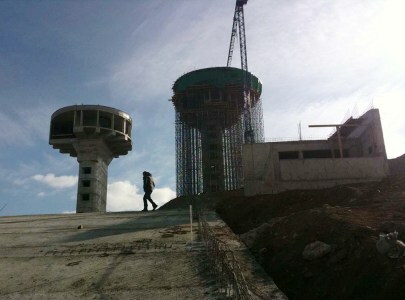 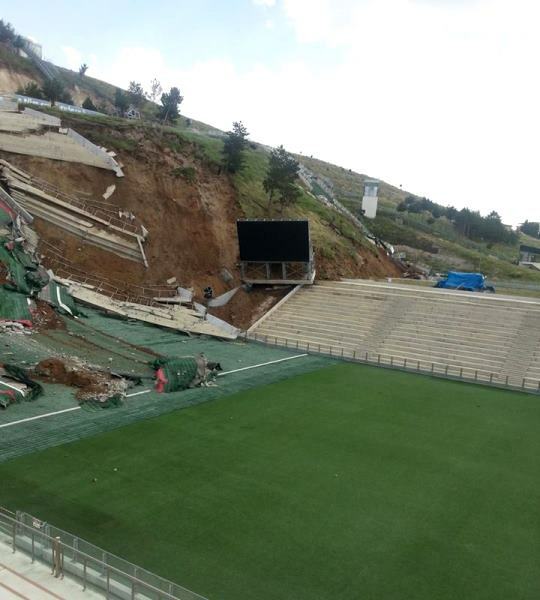 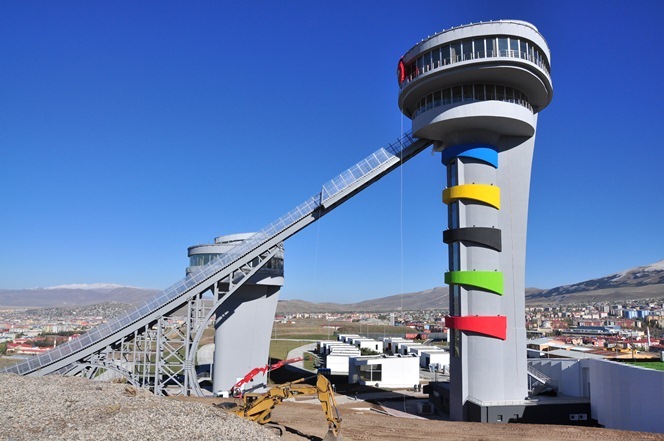 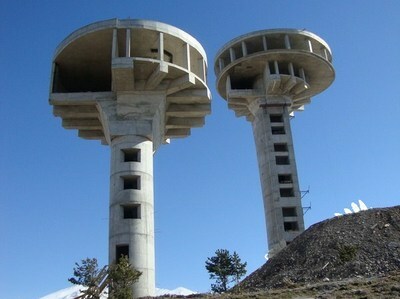 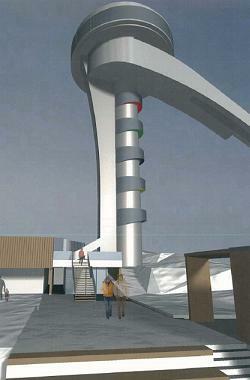 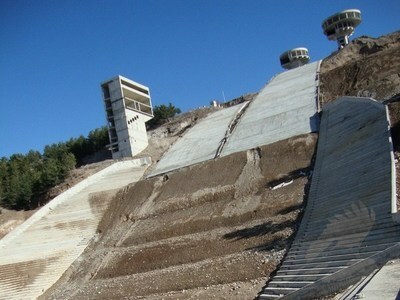 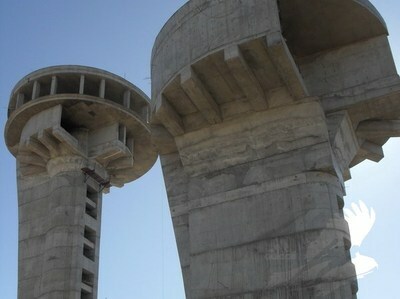 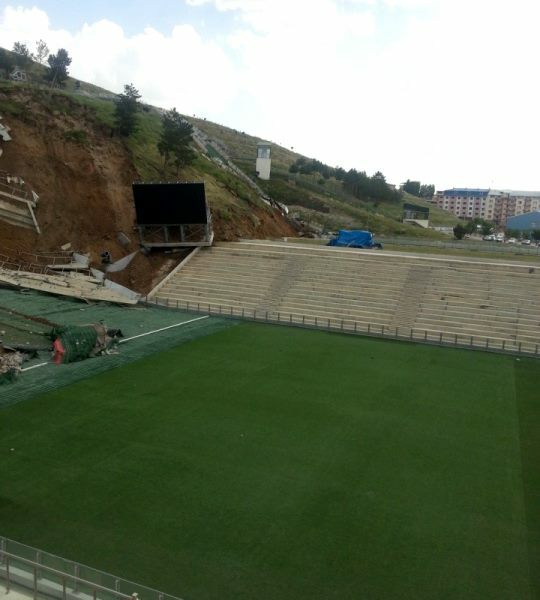 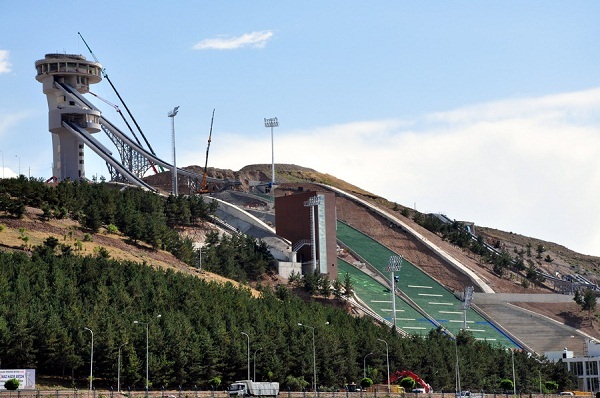 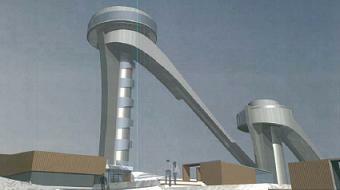 2014-07-26: Ski jumps in Erzurum seriously damaged - constructional faults the cause? 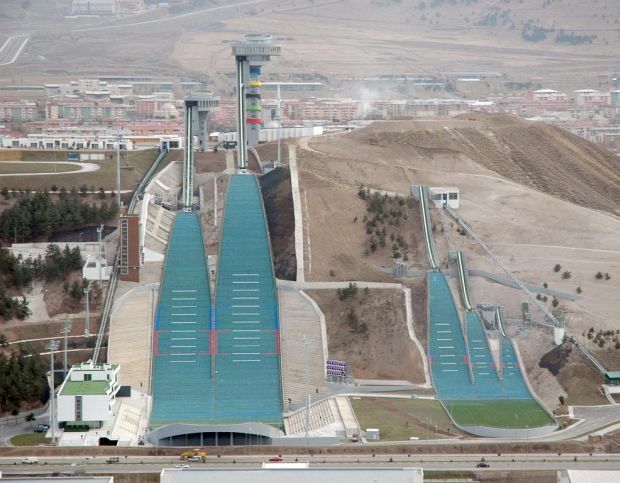 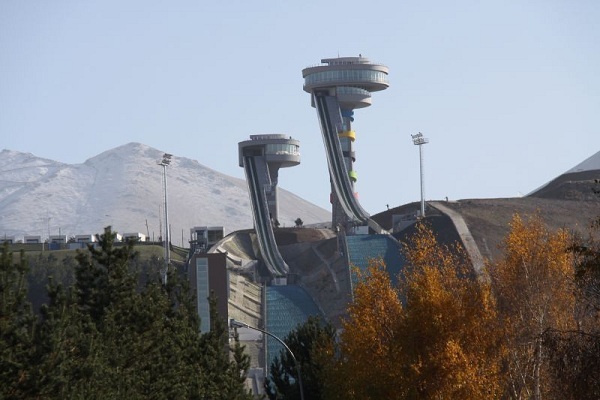 The ski jumping facility in Erzurum, Turkey, was seriously damaged by a landslide last week. 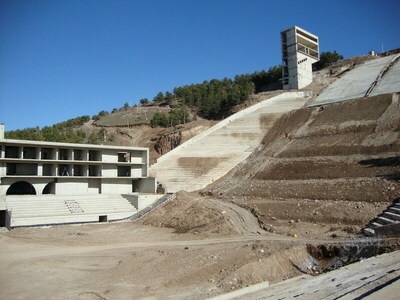 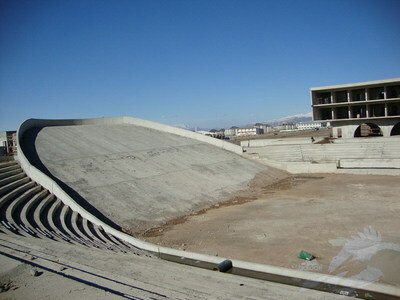 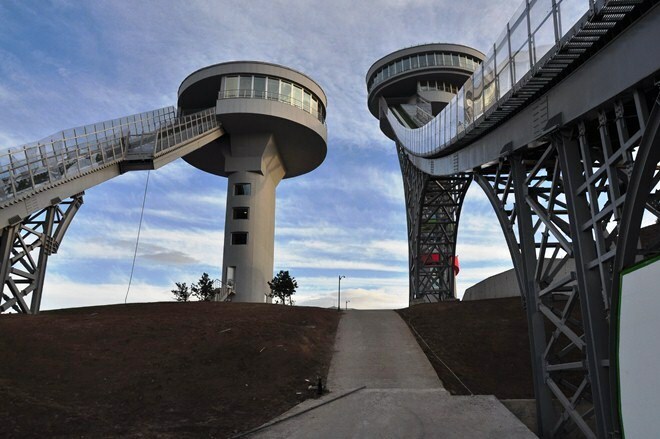 Now experts blame faults made during planning and construction of the 2010 inaugurated jumping hills. 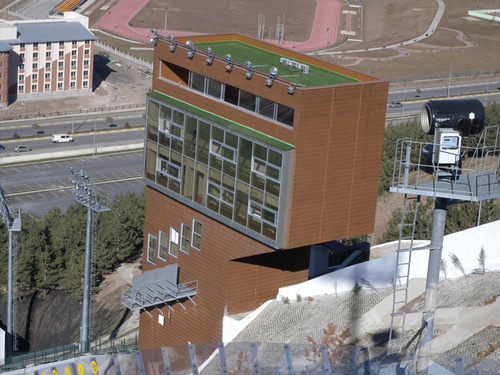 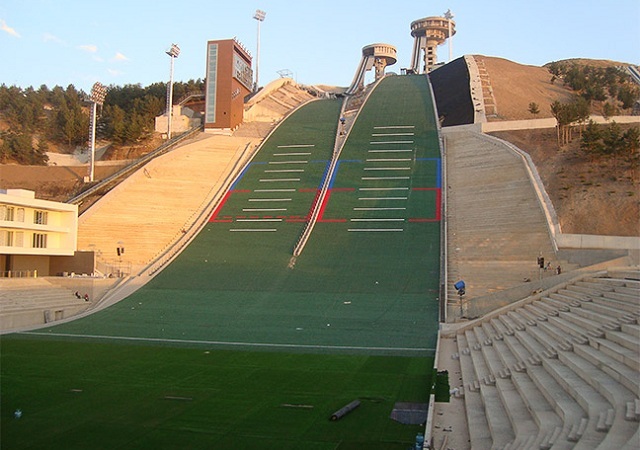 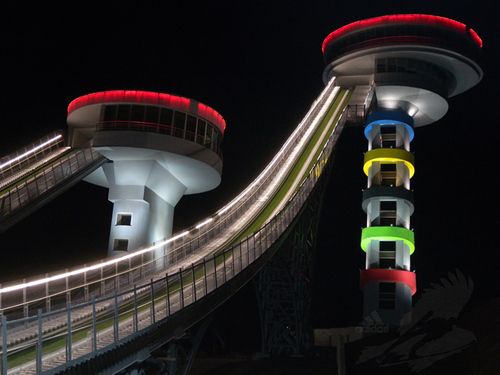 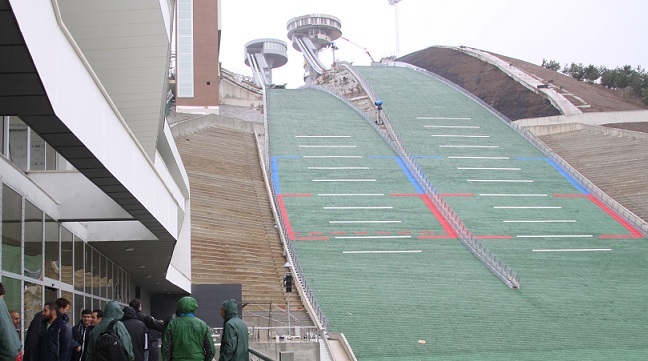 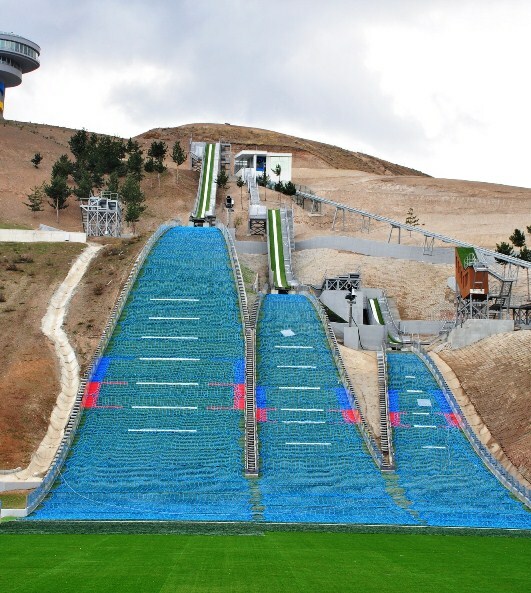 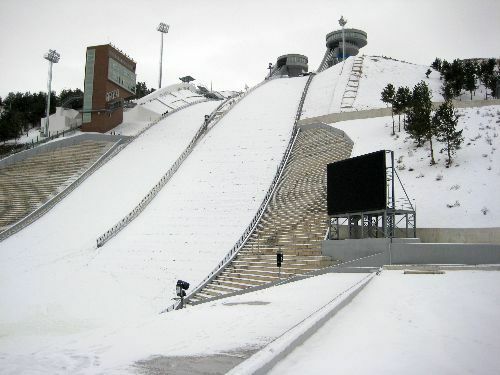 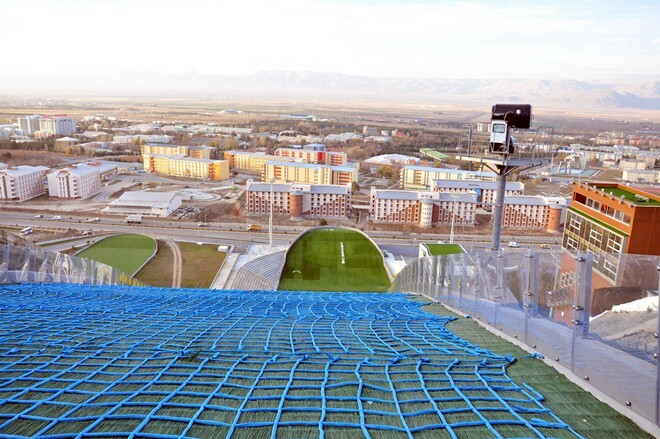 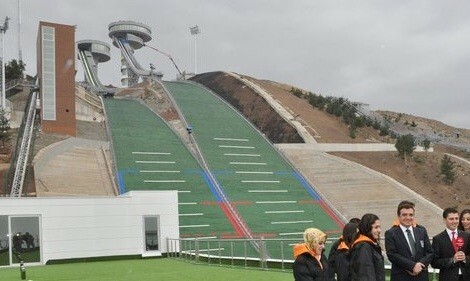 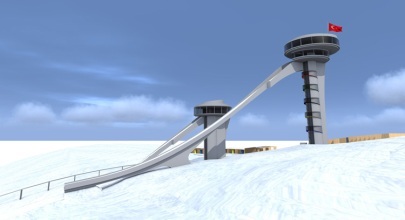 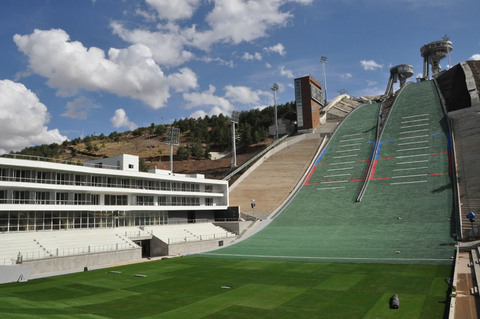 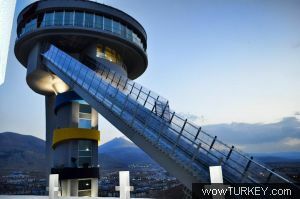 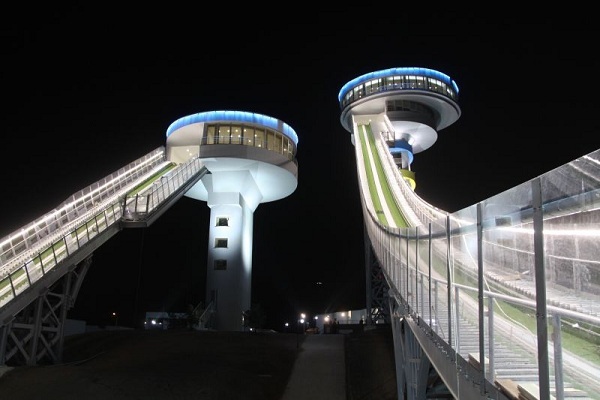 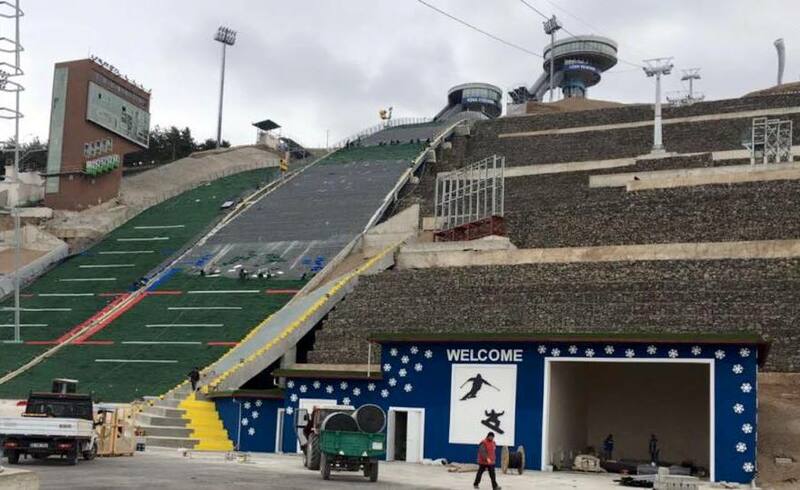 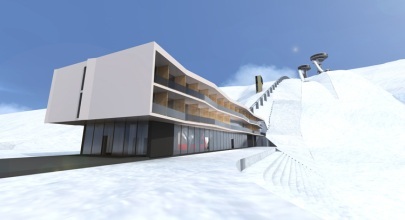 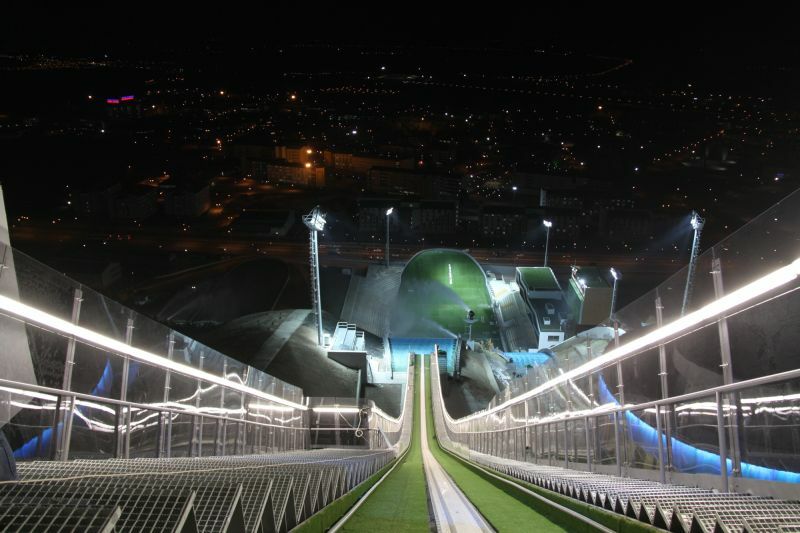 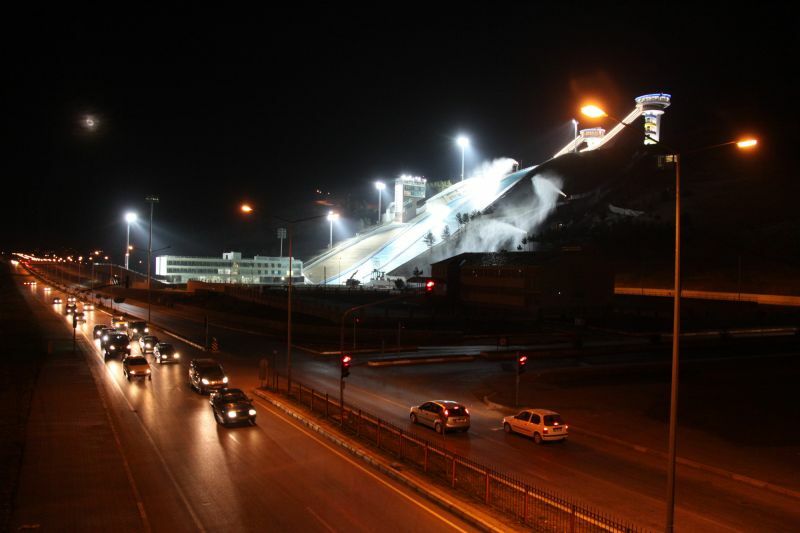 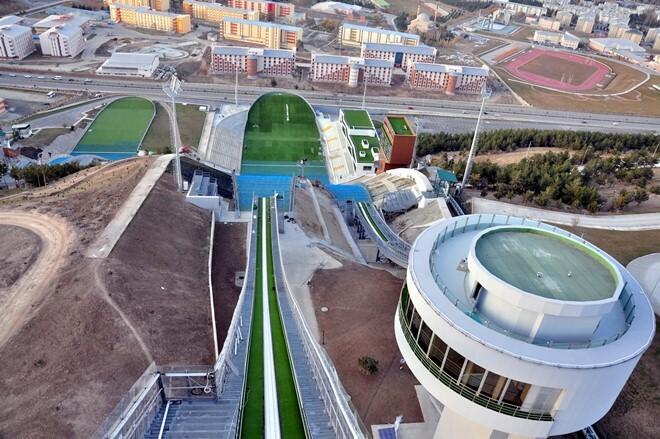 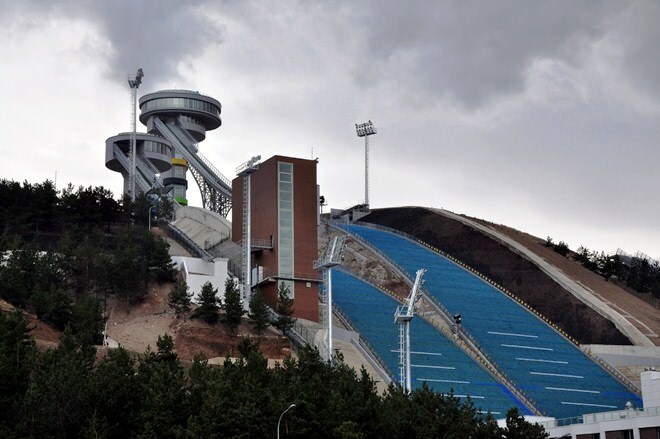 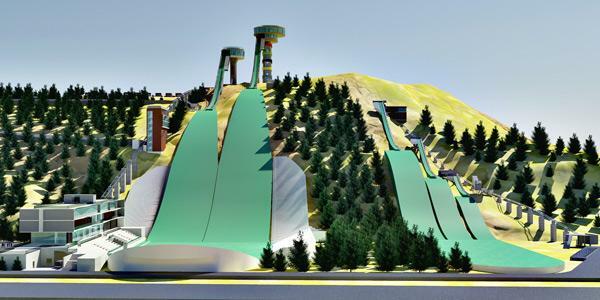 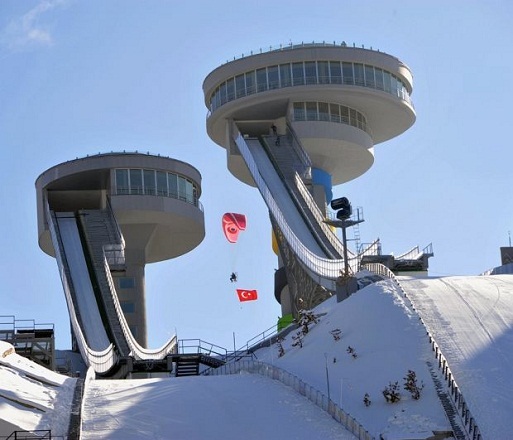 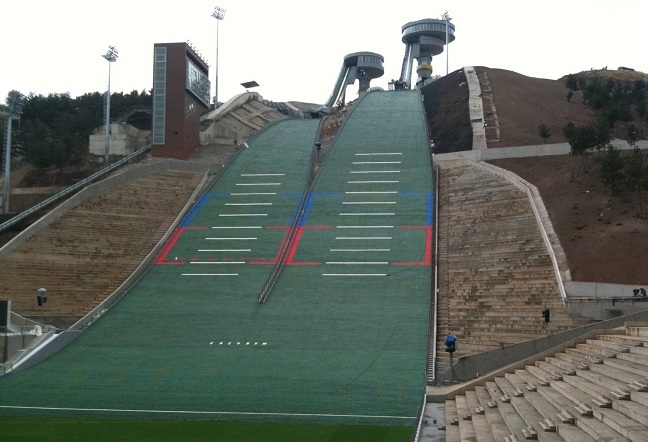 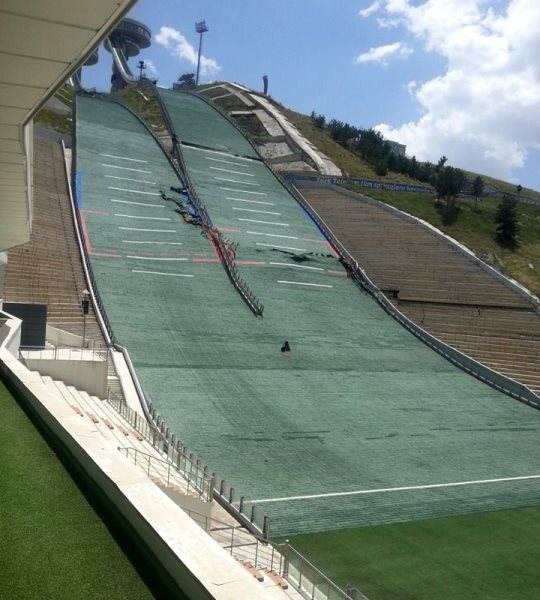 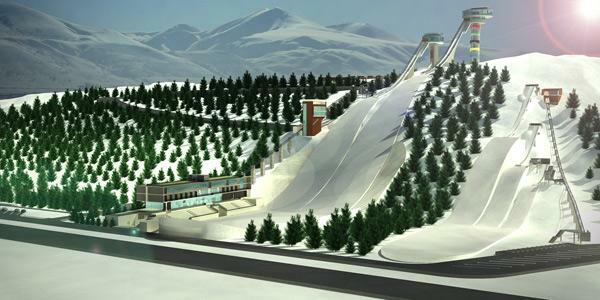 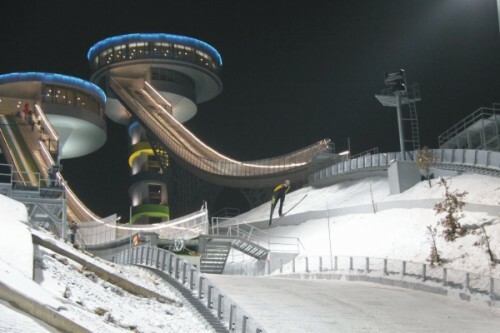 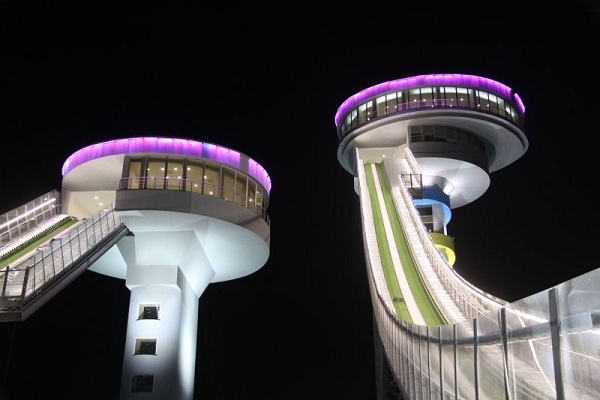 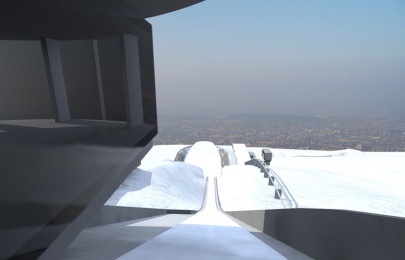 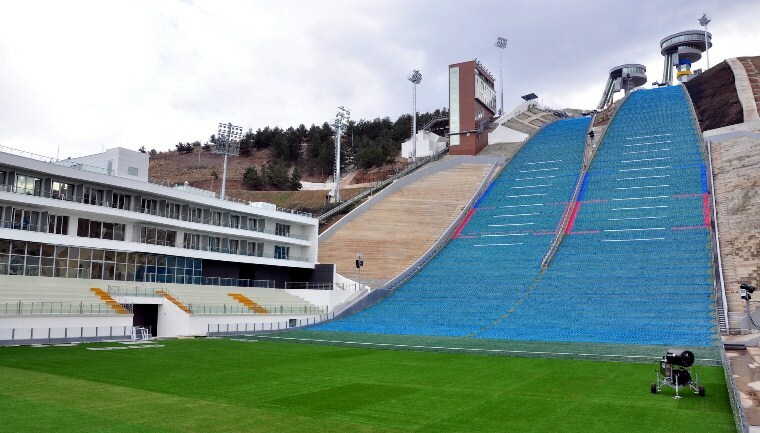 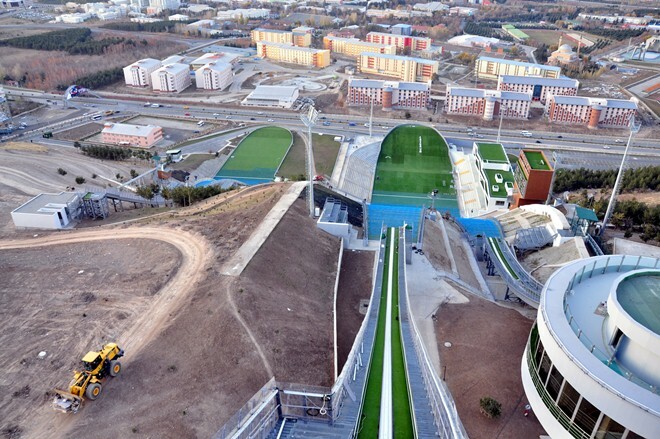 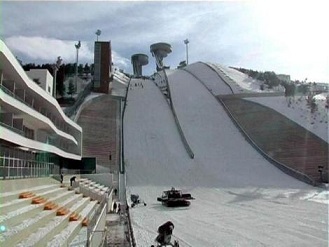 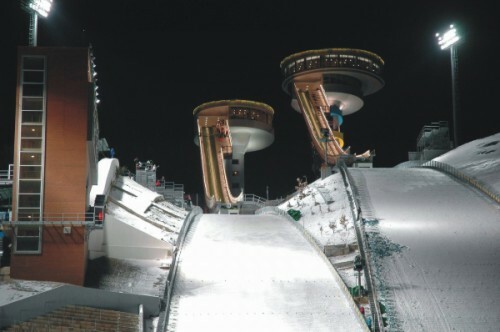 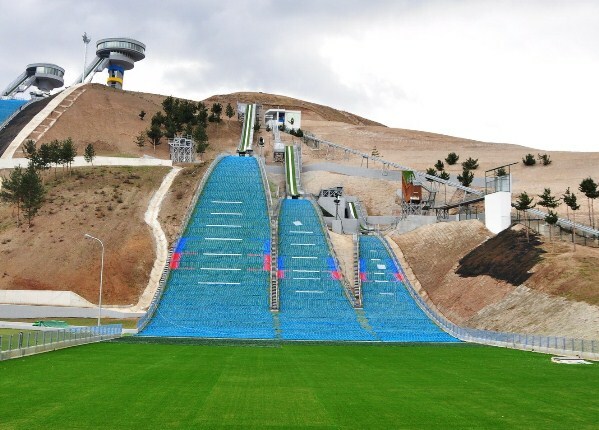 This year the Nordic World Ski Championships at Otepää (Estonia) and Universiade student games with the new ski jumping hill at Erzurum (Turkey) are staged at the same time. 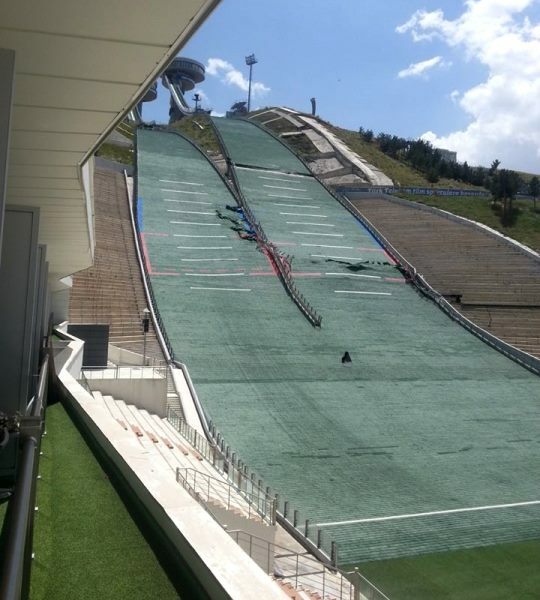 Offenbar scheinen die Schanzen wieder betriebsbereit zu sein, oder sind kurz davor. 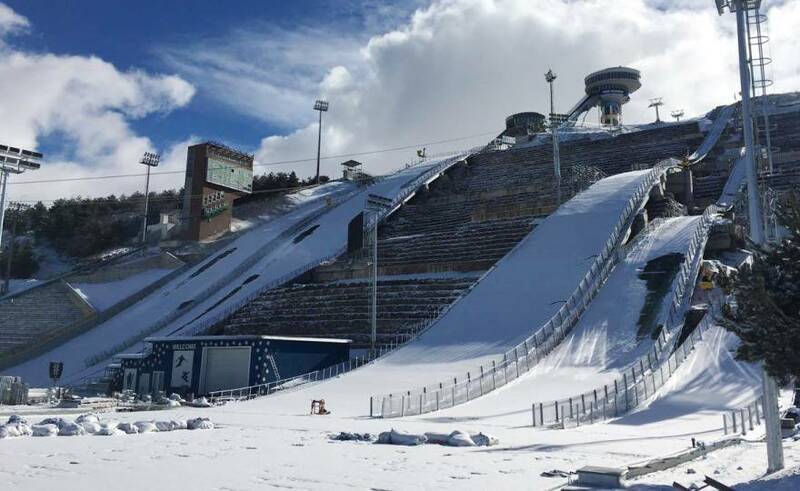 Laut Kalender finden da Anfang Februar COC Springen statt. 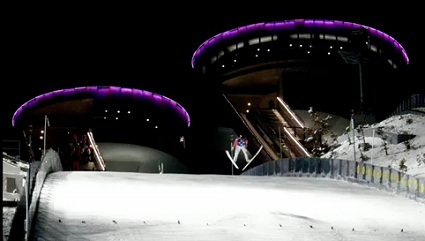 murańka klemens---gold medal jury weg..
Po co Turkom taki kompleks skoczni? 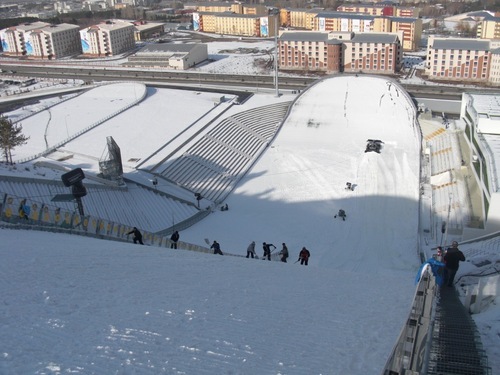 Następne zawody będą pewnie dopiero za kilka lat. 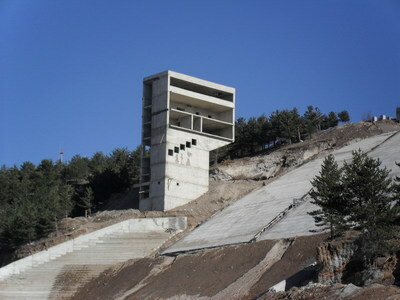 Das ist eine richtig coole Anlage. 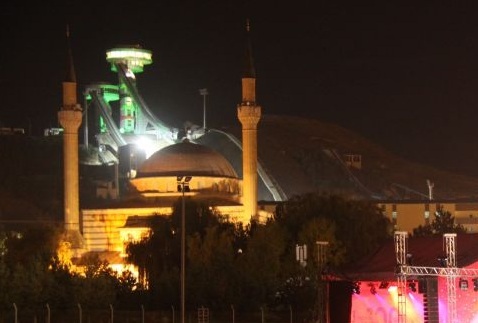 Wenn ich irgendwann mal nach Türkei komme besichtige ich diese Schanze.